Posted on December 29, 2010 at 10:02. Enjoy the new video from Cops on Fire, “Sofie”. And read the Cops on Fire-story by Sasha Pas, that was previously published at viewpoint-east.org. Cops On Fire – Sofie from Januk Latushka ACIDBURN on Vimeo. Posted on December 15, 2010 at 10:50. During this autumn Lviv has had visits from Scandinavia. Here are only some examples. In October The Swedish Trade Council, and the Embassy of Sweden in Ukraine organized The Swedish Business Days. 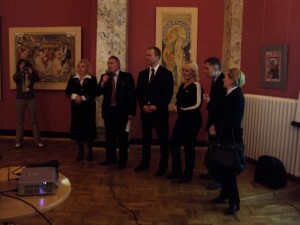 The purpose was to promote cooperation between Swedish and Ukrainian companies. 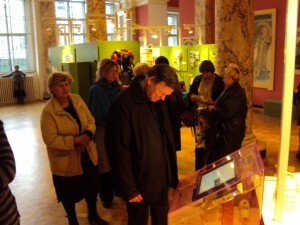 Also in October The Swedish Embassy also organized, in cooperation with Tekinska Museet in Stockholm, the exhibition “Kreativa Kvinnor” (“Creative Women”). During the opening the Swedish inventor Åsa Lövberg presented her invention, Guldkannan. Åsa Lövberg, third form right. On December 2 The Norwegian Embassy arranged a conference at Ivan Franko National University about the Norwegian author Bjørnstjerne Bjørnson. The day finished with a fantastic concert composed by the Norwegian composer Ole Bull at Lviv Philharmonic Orchestra. 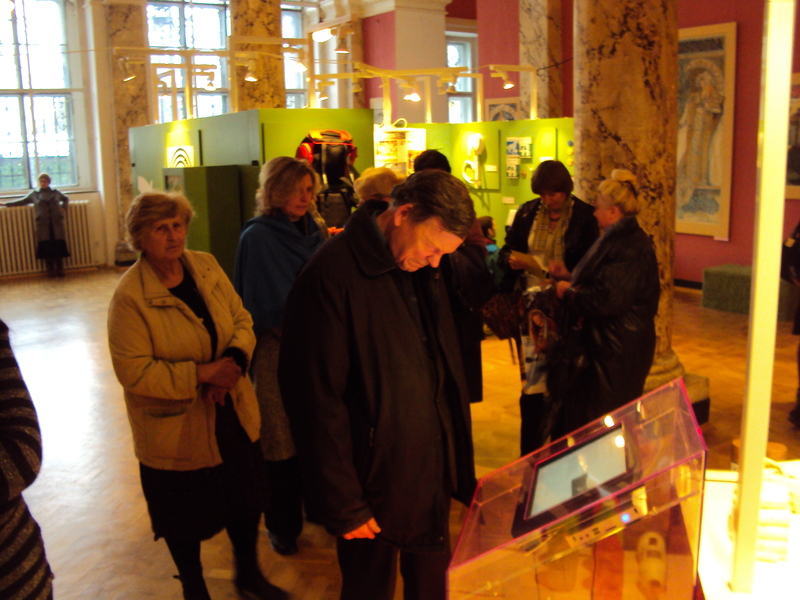 Yesterday students that study Swedish at Ivan Frank National University in Lviv arranged Lucia. Below you can see a video with the evidence on their wonderful performance! Posted on December 14, 2010 at 10:30. Before I moved to Lviv I didnt know that one of my big role models in writing, Sholem Aleichem, did live in Lviv for a couple of years. But he was, as I, a restless soul and moved around a lot so to cross his tracks is not very surprising. However, I did know that Ludwik Fleck did work and live in Lviv before and during World War II. I hope to able to write about his Lvivian legacy during this winter. Below you can see a photo of the Jewish Hospital, were he worked. Posted on December 13, 2010 at 10:00. Posted on December 12, 2010 at 12:26. Autumn turns to Winter, and viewpoint-east.org has been very silent for several months. To compensate this I will during the next coming days published some of my photo sessions from this autumn. I hope to be able to be some more active during winter and spring.